Places to see in Rambha: You can make trip to the Honeymoon Island, nestled in the Rambha bay, adjacent to the Sankuda Island. The Breakfast Island, which has been formed between Badakuda Island and Somolo Island in the Rambha Bay is truly the most beautiful place to have your packed breakfast. The Somolo Island has the remnants of a dilapidated bungalow, built by the King of Kalikote. Some of the other major islands are Honeymoon Island, Birds Island, Parikud Island, Island of Nalabana, Rajhans Island and New Mouth. 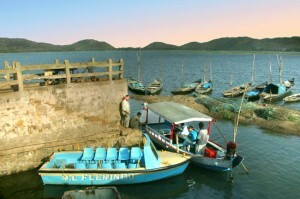 Among all these islands, the island of Nalbana deserves a special mention, as it is a sanctuary and a prime refuge point of the migratory birds. You can also savor the view of dolphins at the mouth of Chilka near Satpada. The Beacon Island is also an impressive sightseeing location. 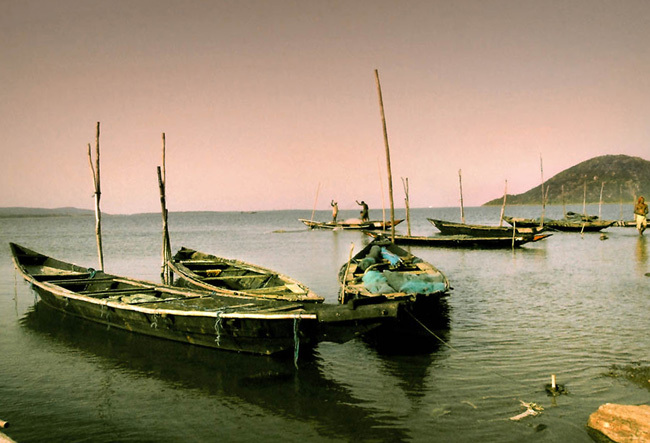 The Khalikote range is also admirable, forming a wonderful backdrop of the Somolo and Dumkudi islands. Many tourists also visit the Bird’s Island, found in the southern sector of Chilka. Tourists with religious bent of mind can make a trip to the Kalijai Temple, devoted to Goddess Kalijai. 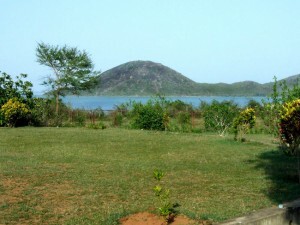 Trips can also be made to the small island of Barunkuda, near Magarmukh, which houses a shrine of Lord Varuna. The Bhabakundeswar temple, dedicated to Lord Shiva is also worth visiting. Nearby attractions of Rambha: The destination is admired with a number of nearby attractions. At a distance of around 22 km from Rambha, the temple of Goddess Narayani adorns the valley hilltop. This scenic site is also a preferred picnic spot. You can also make a trip to Nirmaljhara, located 11 km from Rambha. The place has gained popularity as both a picnic spot and a pilgrimage site. Many tourists also make tour to Banpur, which is a famous Shakti-pitha of Goddess Bhagabati. The place also houses a number of Buddhist images. 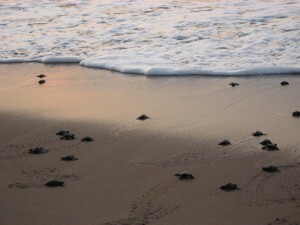 You will also truly treasure your visit to the nesting of Olive Ridley Turtles in Rusikulya Beach near Rambha in Chilka. However, no accommodation facility is available at Rusikulya Beach. So, the tourists need to stay at Rambha, from where hired cars are available early in the morning to the Rusikulya beach. The temple towns of Puri and Bhubaneshwar are the popular getaways from here. Things to do in Rambha: You will never have a single dull moment during your stay here, with so many activities around. Cruising on Chilka Lake is truly an unforgettable experience. Speed boat and motorized yacht are available at fixed price from Orissa Tourism Development Corporation. Many tourists also hire a sea kayak from Orissa Tourism’s Water Sports Complex (WSC) to move around the Nalabana Island. Rambha is also considered a great spot for bird watching. The place being a home of around 150 species of migratory birds is truly a bird watcher’s paradise. How to reach Rambha: Rambha is situated on NH 5 between Berhampur and Bhubaneswar. The nearest airport of the destination is located at Bhubaneswar, 130 km from Rambha. If you prefer to travel by train, then the closest main railhead is at Balugaon, located at a distance of 35 km from Rambha. You can hire cars or avail local buses from Balugaon to Rambha. Moreover, the buses running between Berhampur and Bhubaneswar through NH 5, also halts at Rambha. There is a railhead in Rambha too, but express trains usually do not stop here. Best time to visit Rambha: Rambha welcomes guests throughout the year. However, winter is more charming as the migratory birds visit the region during this time. Monsoons in Rambha have a different beauty with the dark clouds rolling through the mountains over the deep blue Chilka. Lodging and dining facilities in Rambha: The Tourist Lodge at Rambha overlooking the Chilka Lake offers excellent accommodation and dining facilities. 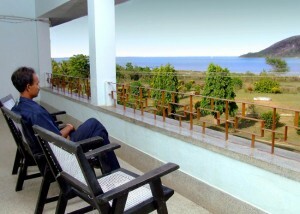 AC as well as non AC rooms and cottages are available offering spectacular view of the lake. We arrange bookings for this Tourist Complex at Rambha directly from Kolkata through our affiliated authorised Travel Agent. The fish lovers will truly admire the fish preparation offered here. You can also try the special crab fry, which takes around two hours to prepare. 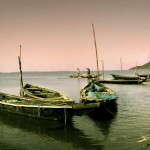 Photographs by Dipanjan Mitra, Avik Chatterjee, Debkinkar Baidya, Dileep Nalli, Somnath Khaskel. Please send me the details regarding lodging facilities in Rambha including room rents and the way to book those room too.